Let’s take a closer look at the six new judges of the International Criminal Court, who were sworn in today in The Hague. 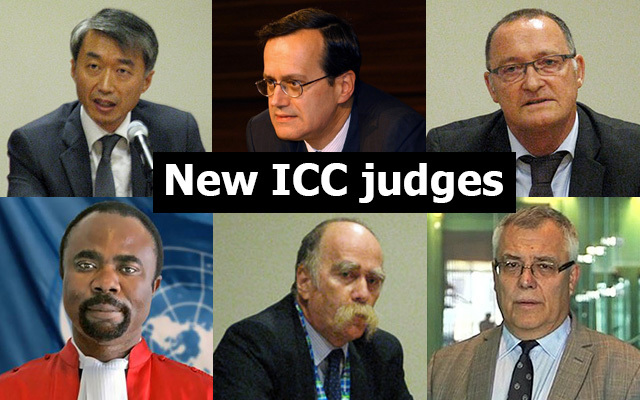 The judges were chosen by the ICC member states in New York in December. They are the hope of victims in war zones and the symbol of international justice anno 2015. Who are they? Here’s some good news: Most new ICC judges have a solid background in international justice, human rights and criminal law. But many of them are male and European. Click here to look at Justice Hub’s infographic explaining how the ICC judges are elected. This article was initially published by Justice Hub on January 8, 2015.